6th generation of outdoor gyms. World outdoor fitness industry leadership, efforts and experience have culminated in the technologically advanced line of outdoor gym equipment. The Outdoor Gym 6th generation brings you the best and most durable outdoor gym in the market to date. Over the years WOF has accumulate significant experience and knowledge regarding the outdoor gym industry and product in the unique South African market and environment (weather and vandalism). WOF keeps in the front line of technology and improvements in order to give our clients the best, low cost, low maintenance and vandal proof product. Look for our logo quality assurance stamp on each of the items. make your own gym in your brand colors. High impact resistance LLDPE plastic – replacing fiberglass the linear low-density polyethylene (LLDPE) is a substantially linear polymer (polyethylene), with significant numbers of short branches. It offers excellent chemical , puncture, impact and cracking resistance by being a flexible material. New high viscosity electro-static powder coating replacing regular powder coating to allow for more durable paint, resisting better SA’s significant temperature differences between night and day. Concealed mechanisms to limit unauthorized access – all new mechanisms are encased in a stainless steel enclosure, the only way to access it is removing the casing with specialized tools. 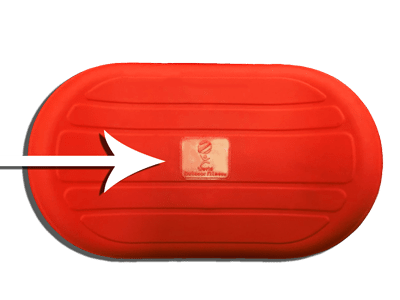 Safe stop mechanisms from 1 to 3 way to prevent injuries – 3 way safe stop gives you 3 times more protection of restriction of movement. Where moving parts are involved we made sure limitation of 45 degrees is applied. Ergonomic improvements for a more effective workout – more comfortable seats, curved lines and adjusted range of movement, designed by qualifies bio kinetic team to give you the best workout. 5 way support and security for accessories – upgraded from a previous 2 way support to gain extra stability and resistance to vibration caused by movement.